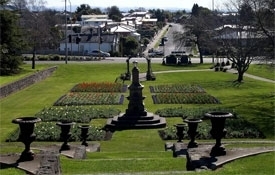 Timaru is situated on the main coastal road between Christchurch and Dunedin. Fishing (sea and river), track walks and horse riding. Rare Maori rock art. DB Brewery tours. Easy walks and cycle paths through the scenic reserve or to the beach, close to camp. Hotel, TAB, bus stop, beaches, river, cycle paths, wetland area for birdlife, restaurant, service station, mountain bike trails, and cycle jump/stunt park. Indoor pool, hospital, botanical gardens. 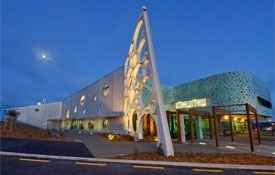 Timaru city shopping centre, movie theatres, cafés and restaurants. Caroline Bay with its boardwalks and striking piazza overlooking the bay as well as a great selection of restaurants. Take a look at the bustling port where you can drive close to the boats and also do some fishing. There is a selection of 3 golf courses, an outdoor heated pool with a diving pool and slide, children's indoor play area and Patiti Point surfing beach. 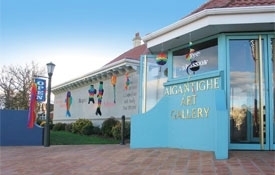 Visit the famous Aigantighe Art Gallery (pronounced "egg and tie") or visit the museum, rose garden, Sunday market and skate park at the bay. 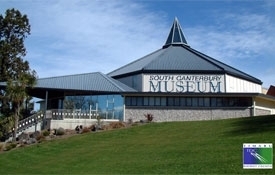 Visit Te Ana, the only museum dedicated to the rare Maori rock art in our region.